NEW YORK -- Mariners No. 28 prospect Eric Filia was among three Minor Leaguers suspended on Friday for using drugs of abuse. Filia was handed a 100-game suspension while Royals pitcher Jon Perrin and Red Sox right-hander Chase Shugart received 50-game bans ahead of the 2019 season. The Office of the Commissioner of Baseball said Filia was cited for his a third positive test for a drug of abuse. Perrin and Shugart both tested positive for a second time. The suspensions of all three players will be effective at the beginning of the 2019 season. Filia, 26, was the Mariners' 20th-round pick in 2016 out of UCLA and has hit .319 wih 11 homers and 143 RBIs in 276 career Minor League games over three seasons. 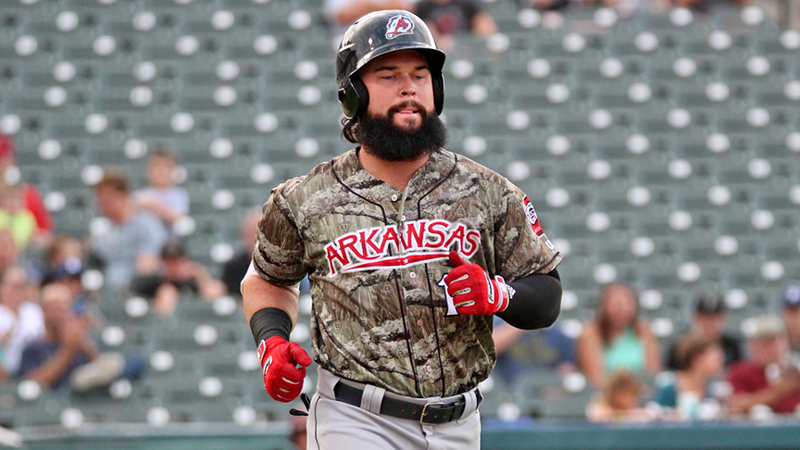 He reached Double-A Arkansas last year, finishing with a .274 average, a pair of homers and 38 RBIs in 79 Texas League games. He sat out the first 50 games of the 2018 season after testing positive for a drug of abuse in January, eventually returning to action in May before the Mariners traded him to Boston a month later. Filia, however, failed his physical, and the Red Sox ended up returning him to Seattle four days later. The outfielder was a non-roster invitee to Spring Training this year, where he went 1-for-8 with an RBI in six games. Perrin, 25, was traded from Milwaukee to Kansas City last August in a deal for Sal Biasi. He went 3-4 with a 3.67 ERA in 33 games, including six starts, for Triple-A Colorado Springs, Double-A Biloxi and Double-A Northwest Arkansas last year. The righty was originally the Brewers' 27th-round selection in 2015 out of Oklahoma State. Shugart, 22, appeared in just eight innings last season after Boston drafted him in the 12th round out of Texas. He struck out nine and walked one in four starts, mostly with the Rookie-level GCL Red Sox.